Ultimately ALL 'laws' & 'rights' are just figments of the collective imagination- fluid and subject to interpretation. They serve as abstract guides in the never-ending balance between individual freedom & social order. 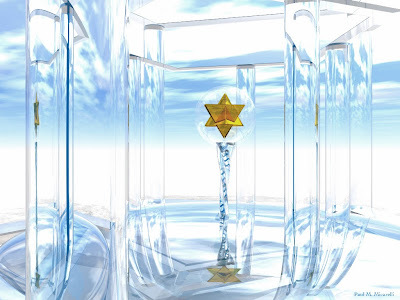 The Universal Declaration of Human Rights was recognized by the United Nations in 1948. It is a set of ideals that most people would agree we should strive toward. My friend posted this Onion article on Facebook & I thought it was pretty funny. 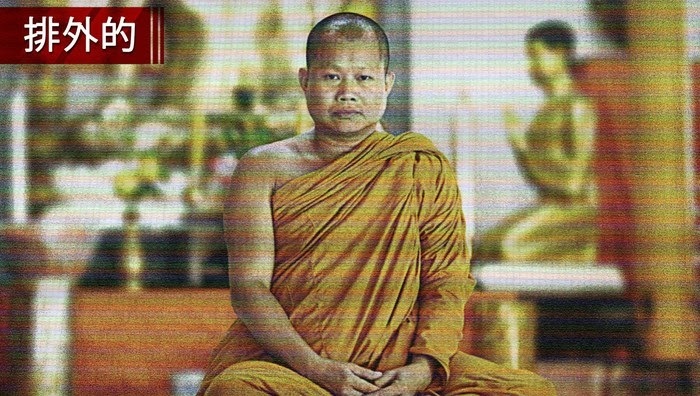 It demonstrates why there aren't many Buddhist extremist groups engaging in terrorism. Being more of a philosophy of the mind than a religious ideology, Buddhism tends to involve giving up the the attachment to ideas & opinions which usually lead to a sense of of moral certitude. Also, "unleashing peace & tranquility" would not be very effective at scaring people into accepting your political agenda. When I was a kid, I watched Sesame Street all the time. My favorite character from the show is still the grumpy green monster that lives in a trash can- Oscar the Grouch. 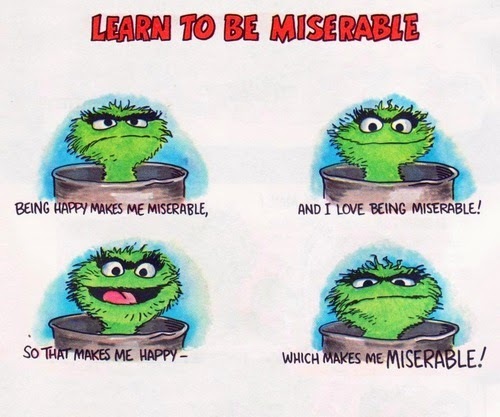 On this isn't happiness, I saw these funny instructions from Oscar on learning to be miserable. It's like a Grouch version of a Zen koan, a paradox or unsolvable riddle. They are from a kid's book & record set called "How to be a Grouch". It's an entertaining look into the life of a Grouch, like Oscar. 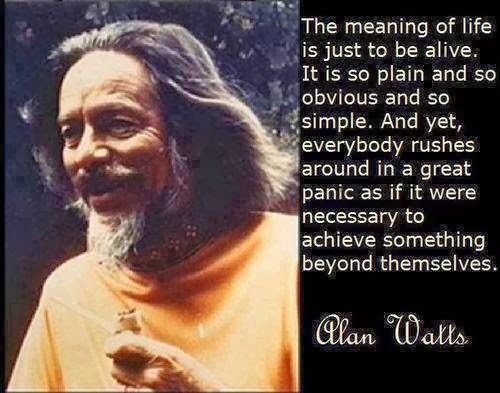 Alan Watts was one of the people responsible for bringing Eastern thought, such as Zen Buddhism, to Western culture. His book, self-referentially titled, "The Book: On the Taboo Against Knowing Who You Are," was one that profoundly expanded my worldview when I read it in college. Since then, I have listened to many of his lectures & talks online. I recently found this excellent quote that really does cut to the reality of our situation. There is NO inherent or external "meaning" or "purpose" to Life. Any significance we give to our existence comes from the judgement of our own mind. This is not a nihilistic view. It's simply a recognition of the fact that we inhabit infinity. "The meaning of Life is just to be alive. 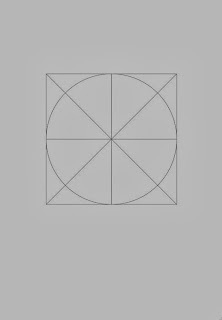 It is so plain and obvious and so simple. 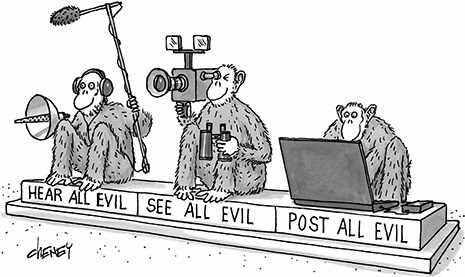 "Hear All Evil, See All Evil, Post All Evil". I like this version better because I prefer the freedom to experience & observe ALL things, regardless of their perceived moral value. 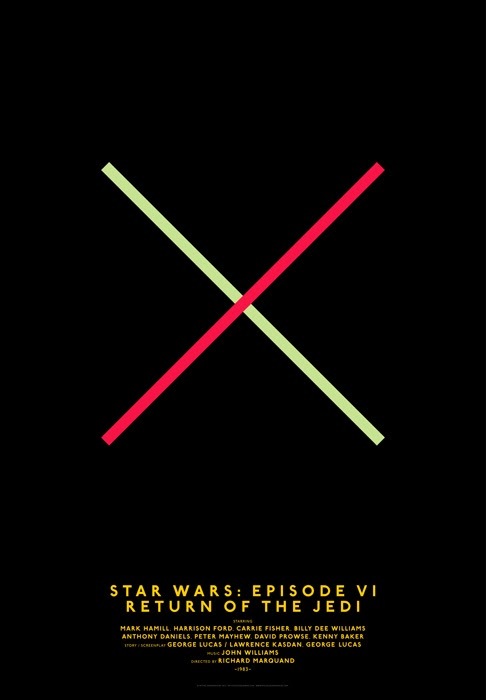 On BoingBoing, I saw this really cool set of minimalist movie posters. 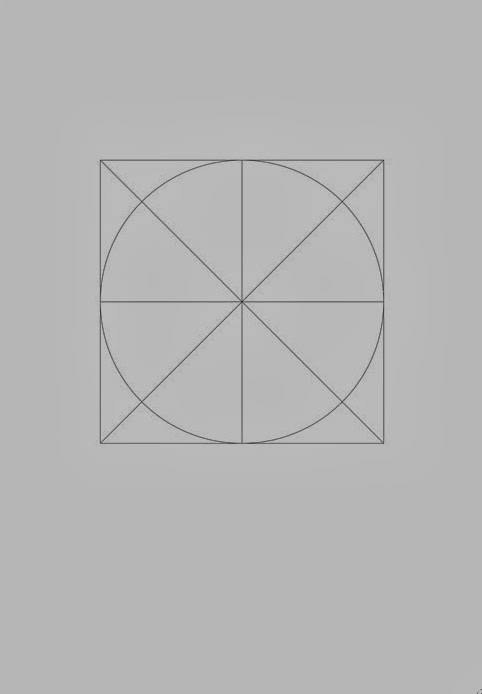 They all shared a common template below, which was used to convey the themes of various films. 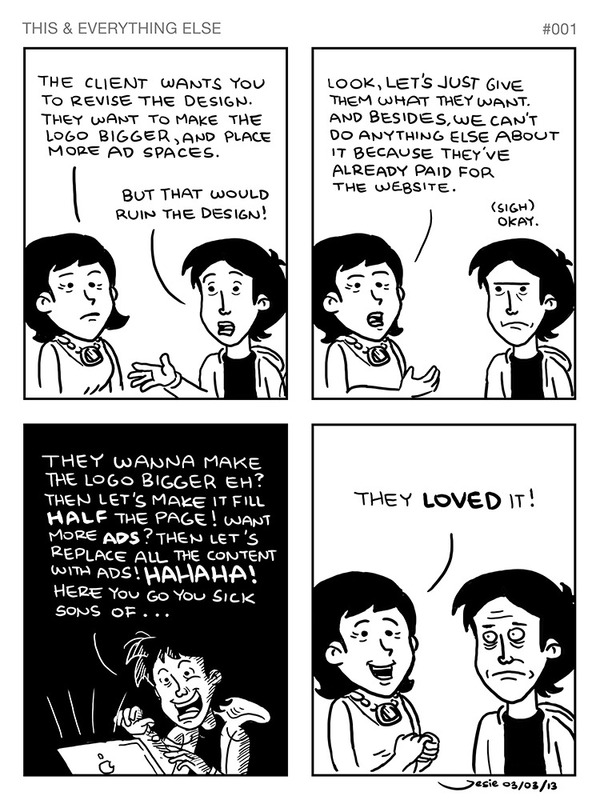 Of course, I love the Star Wars ones, but there are other great solutions to this self-imposed design problem. 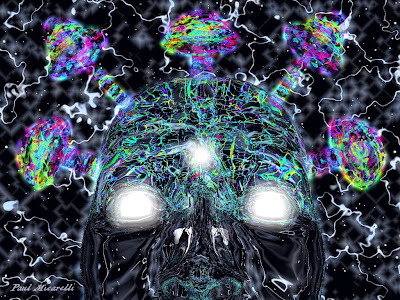 This is an observation of the similarity between the mycelia of fungi and the physical connection of brain cells. This branching connectivity is a feature that is inherent at all scales of reality. I saw these paintings on BoingBoing & thought they were pretty cool. 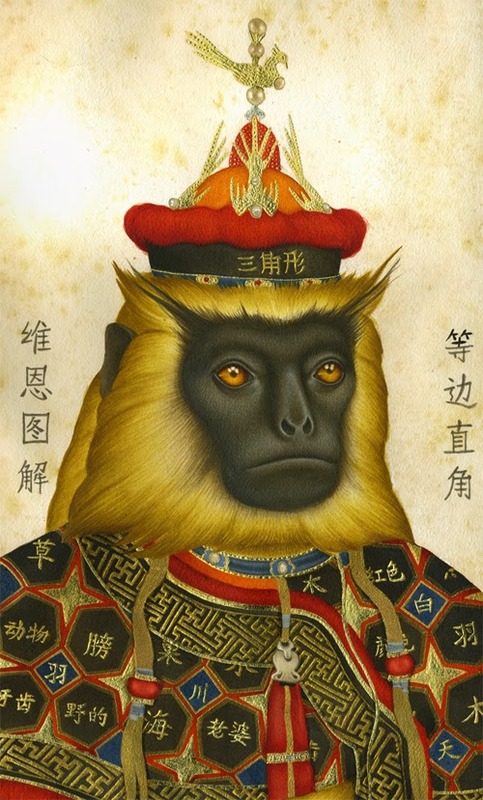 They are paintings of dignified monkeys, dressed as aristocrats in oriental styles. 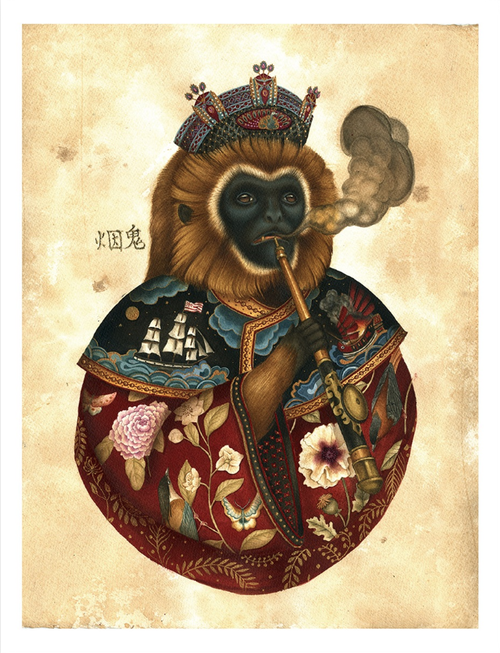 I love the gallery description: "Lindsey Carr’s exquisite watercolor and gouache paintings evoke the specter of Audubon if he had spent time in a Chinese opium den." I saw this pic on The Chive & immediately had flashbacks to my grade school art classes. As a left-hander, the unavoidable smearing from pencils & erasable ink pens drove me nuts. 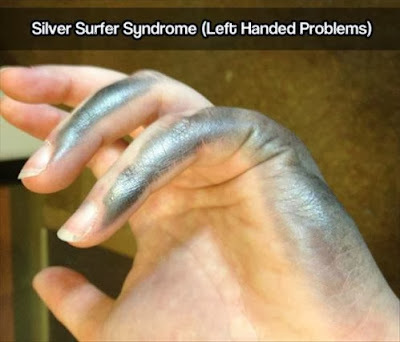 I eventually began placing another piece of paper under my left hand while writing. Maybe it wouldn't have been so bad if I had seen it as a transformation into one of my favorite characters, The Silver Surfer. 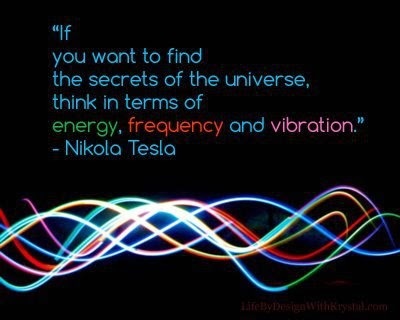 Nikola Tesla was one of the greatest minds of the 20th century, and perhaps in all of human history. He invented A/C electricity, wireless communications, beam weapons, and countless other ideas that have still not been realized. Tesla was far ahead of his time, but luckily his work & wisdom live on. 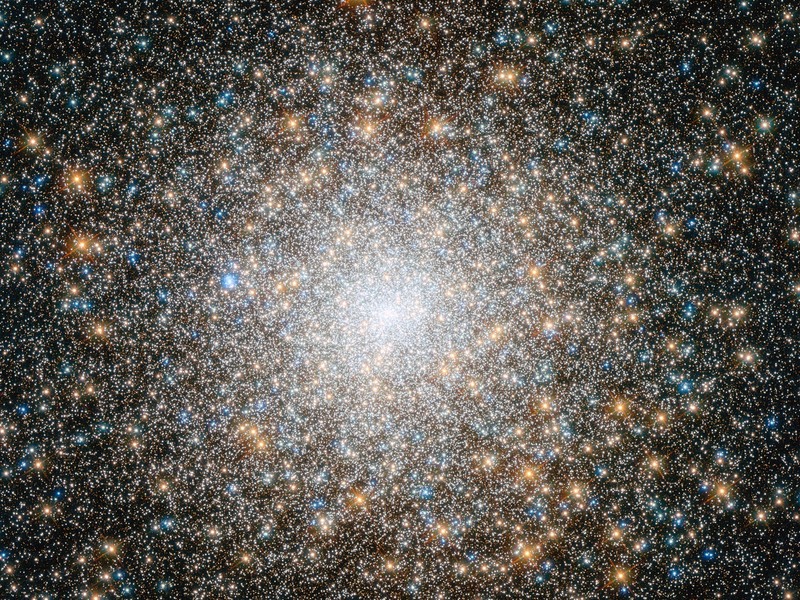 His insights still inform the human race of the infinite possibilities within our reality, waiting to be discovered. 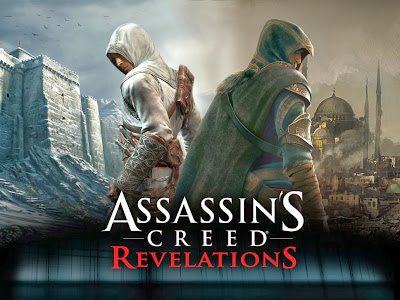 Game Review: "Assassin's Creed: Revelations"
This weekend I finished "Assassin's Creed: Revelations," the fourth title in the series. The rich, vivid re-creations of historical cities in all the Assassin's Creed games make the virtual time-traveling well worth it. "Assassin's Creed II", & "Brotherhood", both took place in Renaissance Rome, following the adventures of the Italian assassin Ezio Auditore. 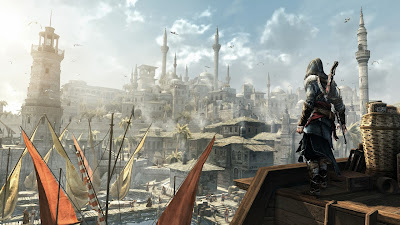 "Revelations" takes Ezio to Constantinople, the city in modern-day Turkey that was the center of the Byzantine empire. It was also a Roman & Ottoman capital at different times- a cosmopolitan city where Eastern & Western culture intermingled. The game play is not much different from the other AC titles. Most of the missions involve stalking targets using stealth tactics, tailing people without being seen, or battling large groups of enemies. It is not repetitive enough to be boring, but there is nothing really novel in the mission objectives. Still, the story & side missions are fun overall. There's a fair amount of platforming & environmental challenges, but not as many as previous games. The one that stands out was climbing the inside of the famous landmark the Hagia Sophia. I have a slight aversion to heights & platforming segments that simulate high areas always makes my hands sweat a little! By the time I had reached the top of the Hagia Sophia's interior, climbing across ropes & precarious ledges, my heart rate had definitely gone up. In "Revelations", the story of Ezio is masterfully intertwined with Altaïr, the assassin from the Middle Ages who was featured in the original "Assassin's Creed". The story follows the historical struggle between two secret groups, the Assassins & the Templars. 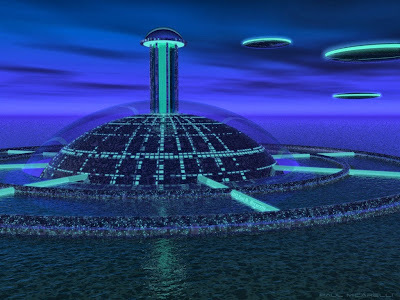 These two factions are trying to control powerful technology, in the form of relics from The First Civilization. 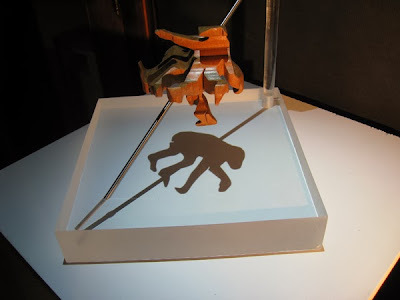 This is a race of highly-advanced humanoid beings who existed before mankind. 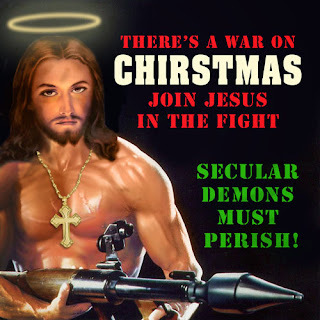 In fact, they originally created humans as a type of slave labor, similar to the myths of the Sumerian Annunaki. Thousands of years ago, the genetically-engineered humans rebelled against their masters. The resulting war distracted everyone from a cosmic cataclysm, that almost wiped out both races. Afterward, they tried to come together & rebuild, but for various reasons the First Civilization ended up becoming extinct. They left behind remnants of their advanced tech & holographic avatars to guide the hybrid descendants of humans & "Ones Who Came Before". The hope is that, with enough warning, precautions can be taken to prevent another catastrophe from wiping out the planet's inhabitants yet again. 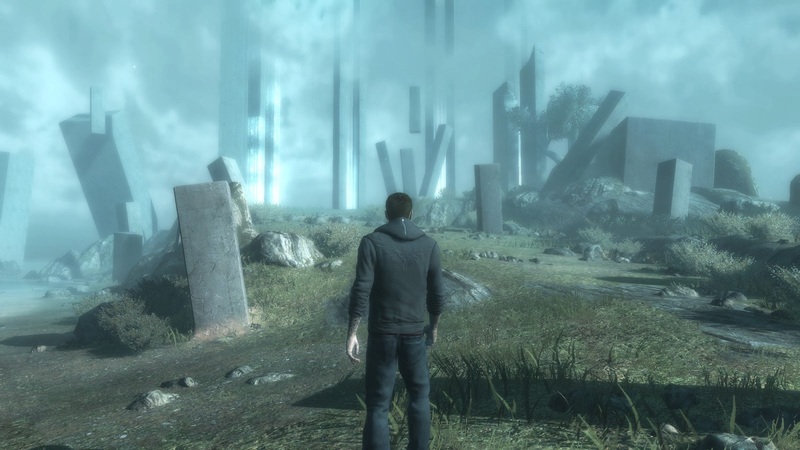 With this story as a backdrop, you are actually playing as Desmond Miles, the modern day descendant of the assassins. He has been accessing his ancestors' "genetic memories," via a virtual reality machine called The Animus. 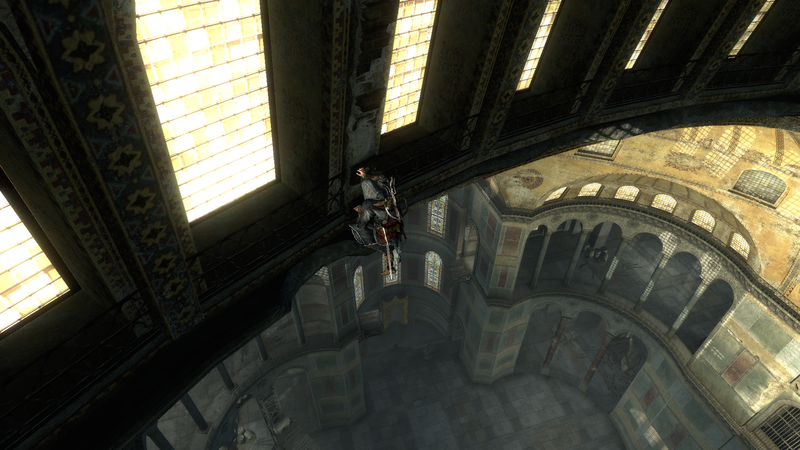 So, when you play as Ezio or Altaïr, you are really playing as Desmond virtually experiencing the lives of his ancestors. 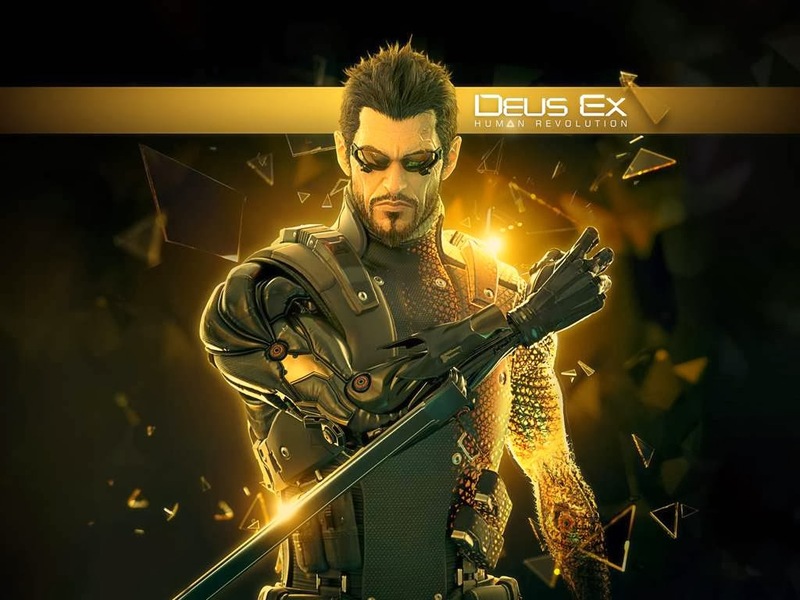 He was held captive by the Templar front company Abstergo, but is now back with his fellow Assassins as everyone is searching for technology called "Pieces of Eden". 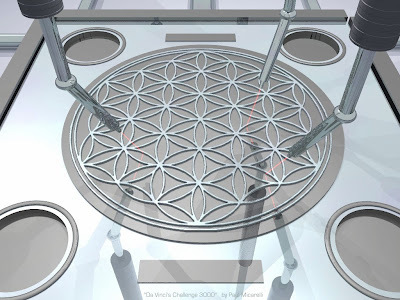 In this game, Desmond's mind has begun to fragment, from the strain of all his virtual trips into The Animus. To prevent his mind from completely falling apart, his consciousness is stored in some deep part of the computer. It manifests in an area called "Animus Island," where he must go through several 1st-person environmental mazes. These sequences take place in minimalistic, but surrealistic dream-like architecture. 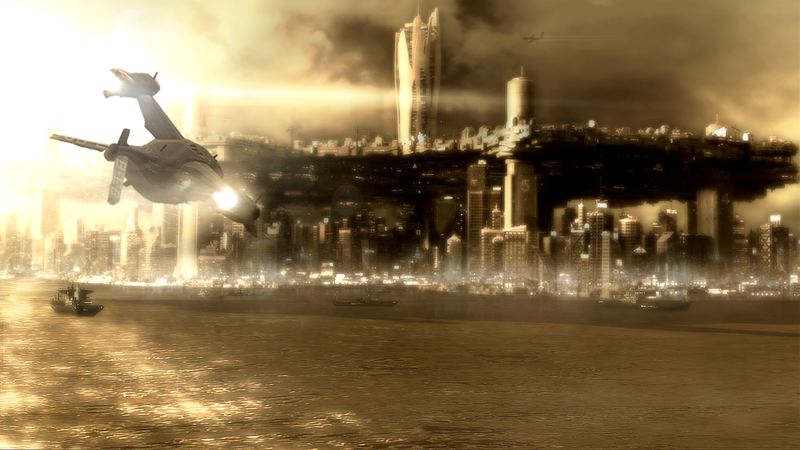 Desmond's missions on Animus Island are a side aspect of the game that can be accessed from the menu at any time. Of course, most of the action follows Ezio as he carries out missions & searches for keys that will allow him to unlock Altaïr's library, where a Piece of Eden has been hidden. This was a very satisfying conclusion to Ezio's storyline, even if you have to wait until the end to really get some "Wow!" moments. He was a well-developed character, who was alot of fun to play. Following the many events in the lives of both Ezio & Altaïr give you a deep sense of identifying with the historical struggle of these characters to keep their secret order alive, while they were also trying to grow personally. 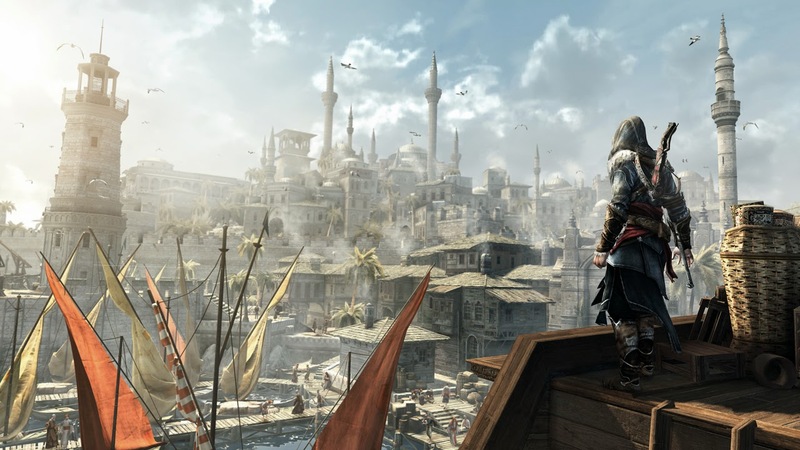 If you are willing to invest the time, the Assassin's Creed series is a quality production of the highest order. The visuals are stunning, gameplay is engaging, and the storyline makes you think about ideas like virtual reality, the mysteries of genetic information, and the interconnected history & future of humanity. For Halloween, I thought it would be appropriate to post this photo series I saw recently. In southeast Asia, monkeys are used as street performers & often have strange costumes or unsettling doll masks, like the ones in these pictures. They are are like little creatures out of a strange, horrifying nightmare! Thankfully, it seems like some action is taken to prevent the abuse of these animals. I'm a professional designer, so I consider myself to be very creative. However, when I see people with this kind of skill & talent, it also makes me realize the limits of my abilities. In this video, master pinstriper Glen Weisgerber shows his technique for roundhand lettering. It always amazes me to see artists do freehand work like this. 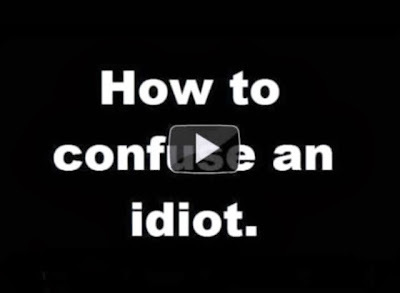 How do you confuse an idiot??? I saw this on Dedroidify & thought it was pretty awesome. It was originally posted on the Facebook page for Symphony of Science. Seeing the terms of our existence spelled out like this makes you realize how lucky we are to have such a rare chance at Life. The whole idea is great - humorous & profound at the same time. 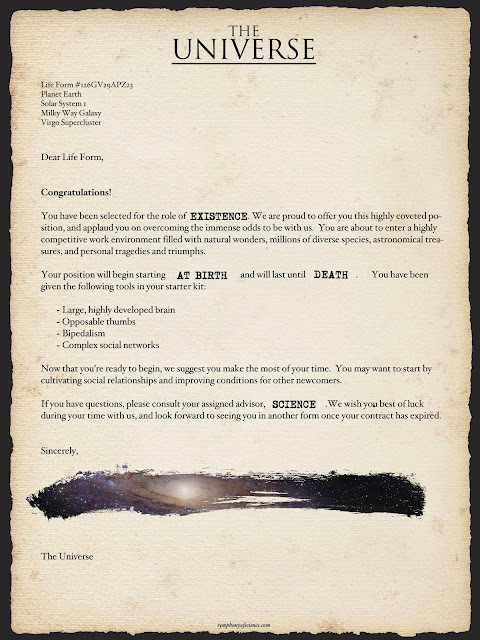 I especially like how The Universe's signature is a brushstroke containing a vista of space. "White Lotus Flower" & "Under the Big Green Leaf"
I added a couple new items to the Photography section of my Cafepress shop. They are both pictures I took at Longwood Gardens, which is full of amazing sights. The first is a radiant white lotus flower against the dark water of a pond. The lotus is a symbol of spiritual growth & enlightenment, emerging from the murky depths of our mundane physical existence. The second photo is an abstract close-up, underneath a large leaf. I really like the veins & the flowing texture inside the bright green areas. This weekend, I went to see the movie "Gravity" in 3D. I saw the trailer for the movie & read the rave reviews on Rotten Tomatoes. I love anything related to outer space, so I definitely wanted to see it. I'm glad that I did, because it was an awesome movie that's as close as most of us will ever get to the experience of being an astronaut. Basically, the story follows Bullock's character, as she is separated from the space shuttle and must keep finding her way to temporary safety while in space. From the very beginning, the cinematography is amazing. The movie opens with a beautiful vista of our home planet, Earth, that fills the movie screen. A white speck comes into view orbiting the planet, that slowly pans into the space shuttle on which the astronauts, played by Sandra Bullock & George Clooney, are working. This beautifully gradual zoom is the first scene in a movie full of awesome camera work, effects, & editing, The scenes alternately go between the wide, empty vacuousness of outer space, & the up-close, personal situations of the astronauts. 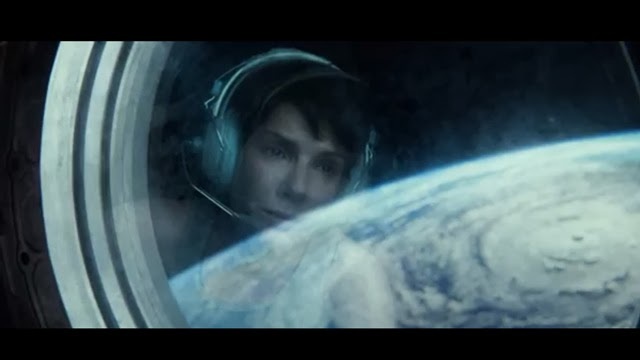 There are points where you even get a 1st person view from Sandra Bullock's perspective, such as looking out from inside her helmet as she's taking it off. However, all these viewpoints flow together seamlessly into a very suspenseful virtual ride in Earth's orbit. The movie does an excellent job at making the viewer feel the crushing isolation that one must feel in the vast emptiness of space. It also shows how physically vulnerable we human beings are out there, without the help of our technology and intelligence. 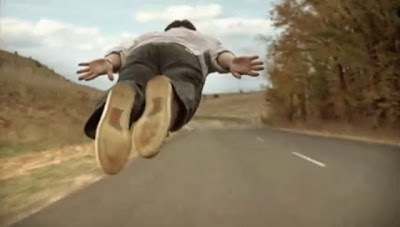 Neil DeGrasse Tyson has famously criticized some of the scientific inaccuracies in Gravity. However, he also said there was a lot that was right with the movie & that he enjoyed it. 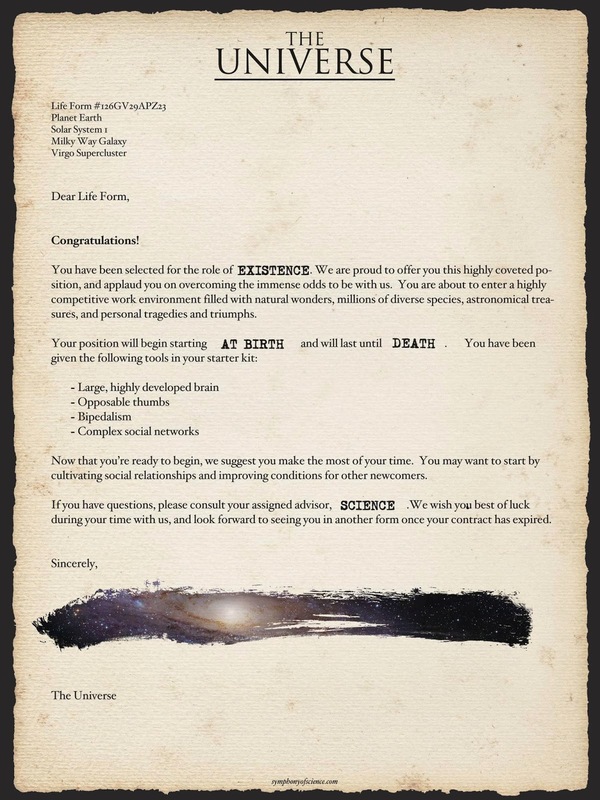 I'm pretty well-informed about science, so there were a few pretty big errors that I saw during the movie. 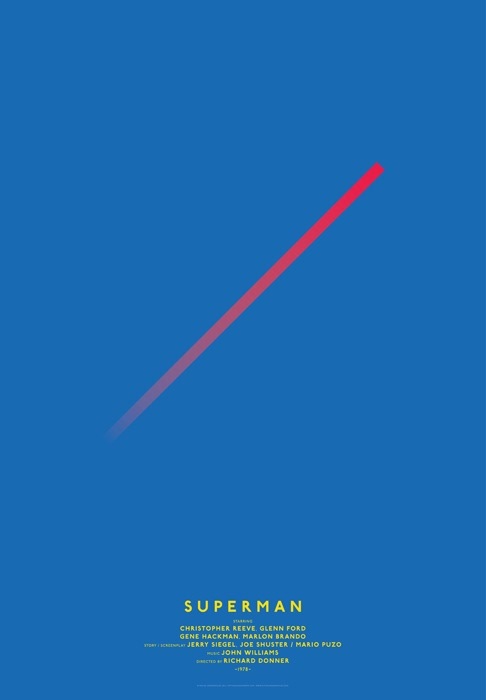 For instance, the distance between the different country's space stations are probably much farther apart then they are portrayed. Also, there's simply no way any human being could endure the craziness & physical punishment that Sandra Bullock's character had to go through. Despite my inevitable criticisms, these pale in comparison to the experience of being in space that "Gravity" simulates. 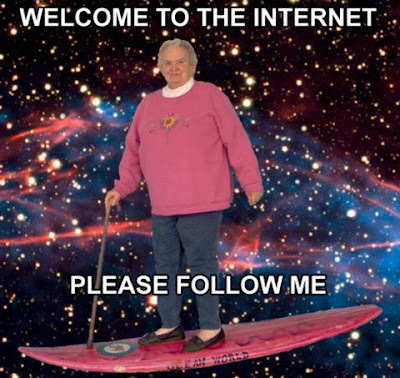 I've posted here before about mankind's destiny to travel among the stars. This movie reveals how pathetically little we've truly adapted to life in space. We have barely transitioned to surviving just outside our atmosphere. 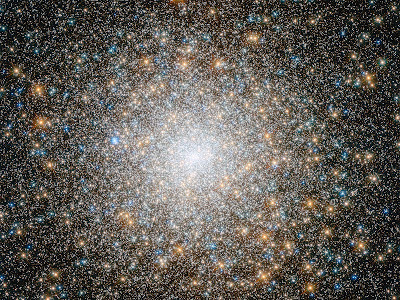 We literally have light-years to go before we are ready for extensive space travel, even within our own galaxy. There are also deep themes of rebirth & transformation throughout the film, such as scenes of Bullock in a fetal position inside a womb-like space capsule. She also emerges from water in a baptismal scene where she can be said to be re-born. Like the classic "2001: A Space Odyssey," these scenes could also allude to the transformation of humanity, into a new being that exists beyond the confines of our current world. "Gravity" was an awe-inspiring movie that helps put our feeble, yet miraculous, lives into a much wider perspective. I recommend it for anyone who loves science, astronauts, or just a great thrill ride through the deadly darkness of outer space. Since I'm posting monkey gifs, here's one that shows a rare, behind-the-scenes look at how The Monkey Buddha blog is published. 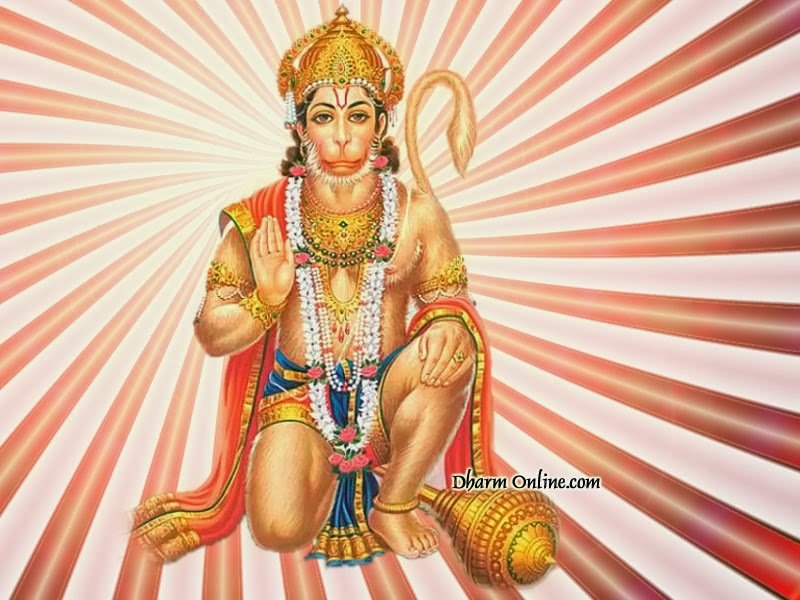 In Buddhism & other spiritual practices, the purpose of meditation is to tame the "monkey mind". It is a term to describe the normal state of consciousness- in which an endless stream of thoughts & internal mental chatter interfere with the direct awareness of reality. This state of mind is illustrated by the monkey in this animated gif, persistently banging cymbals inside Homer Simpson's head. featuring cover art by H.R. Giger. When I was growing up, my Mom would take me & my siblings to the local library to check out books. My thirst for knowledge was as great back then as it is now, so I would check out a wide array of books each time I went. I've posted before about the importance of my early reading habits to my intellectual development. Specifically, I mentioned the many interesting Usborne books I used to love as a kid- about UFO's, Monsters, Ghosts, and the Future. Even at a young age, these books reflected my interest in the many mysteries of the world. Omni magazine was another publication that inspired my interest in both science & the strangeness in the Universe that science attempted to explain. 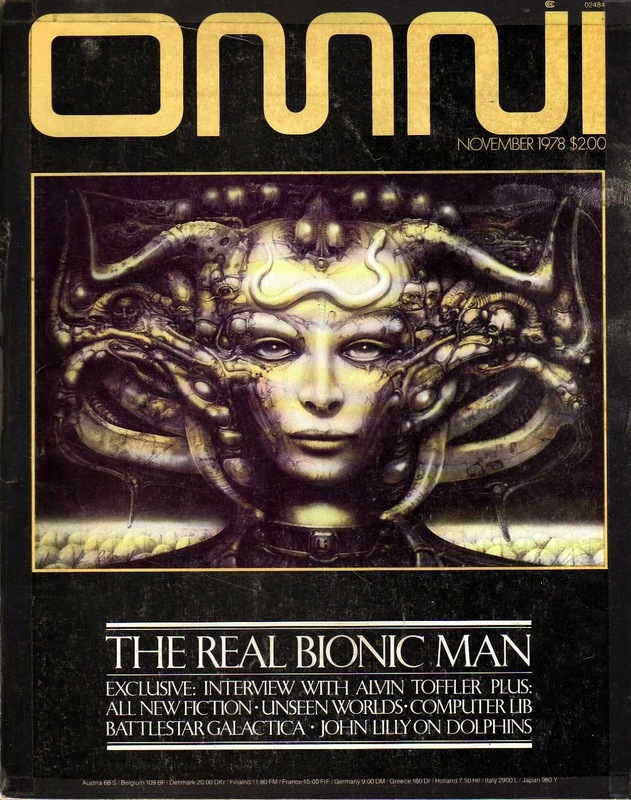 I would take out 2 or 3 Omni magazines from the library at a time to read. My young, curious mind couldn't get enough of the far-out ideas in their pages. 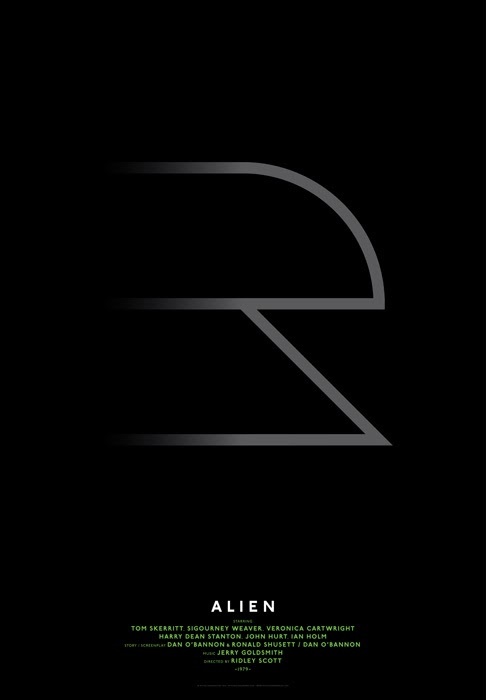 There is no better medium for an intellectual forum which has been such a rich source of vision regarding technology, futurism, & Fortean phenomena. 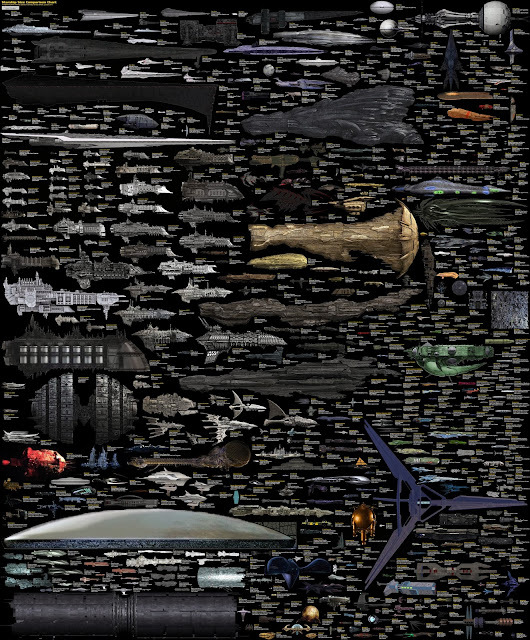 I recently came across an even more expansive chart, comparing the sizes of a large number of sci-fi spaceships, from such stories as Star Wars, Star Trek, and even games like Halo & Deadspace. It is an awesome reference guide to the endless possible ways that we can travel among the stars! The Colbert Report is one of the few shows on TV that I consider required viewing. I've been watching since the 1st episode, & Stephen delivers consistently brilliant satire on the current state of affairs. As can be expected, he's had a field day with all the absurdity surrounding the 2013 Government Shutdown. The other night, he had this awesome segment that combined some of my favorite topics- politics, humor, and games! 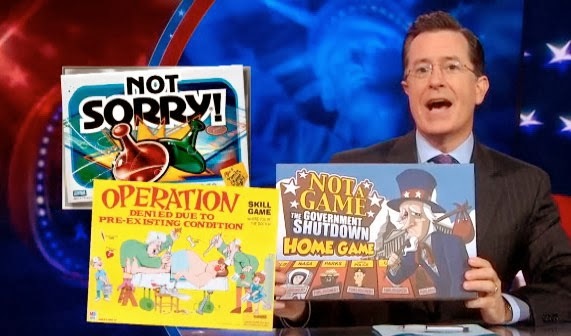 • "Operation: Denied Due to Pre-Existing Condition"
Then, he plays the patently ridiculous, yet depressingly accurate, "Not a Game: The Government Shutdown Home Game" - based on the shenanigans surrounding the standoff around 'Obamacare' & the government shutdown.